Crescent Design manufactures and sells the Hydraulic Burst Leak Tester (HBLT) which has become the world wide standard for pressure testing catheters, balloons, valves, luers and many other disposable medical devices. 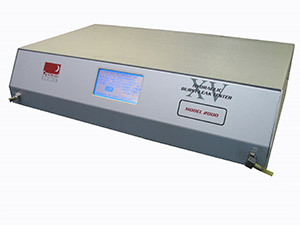 The Hydraulic Burst Leak Tester (HBLT) is a table-top computer controlled device that delivers pressurized distilled water during precisely controlled and repeatable tests. The HBLT is available in 8 different models with maximum pressures ranging from 25 – 5000 psi. Each model is also available in an “XV” configuration that increases the deliverable test volume. For our customers with larger volume products, the “LH” model is available in 25 and 100 psi and has a deliverable test volume of 1200 cc’s. In response to the evolution of medical devices that require pressure testing, the HBLT product line has expanded to include such things as remote control software, diameter/compliance measurement, multiple port testing and automatic prepping and purging. The Crescent Design Automated Salt Bath (ASB) is a state-of-the-art temperature controlled salt bath and water quench system. 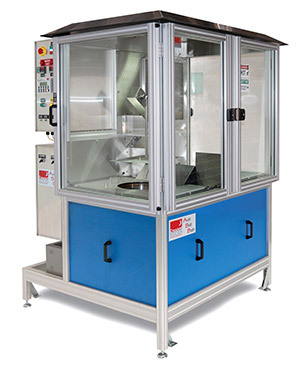 This is an engineering system that guarantees accuracy, repeatability and increased throughput all packaged in an easily maintained enclosure designed for maximum safety. The Automated Salt Bath’s temperature controlled molten salt bath and water quench system operates from a user friendly, programmable password protected interface. For more information contact Crescent Design Inc.
Medical Device Burst and Leak Testing — Get Wet or Keep Dry?